Christie Dills is in her 4th year as an Agriculture Education teacher. She grew up in Rabun County, Georgia were she was involved in the Agriculture Program at Rabun County High School under the guidance of Mr. Steve Cabe. After high school, she attended Abraham Baldwin Agricultural College where she earned my Associates in Animal Science and UGA Tifton where she earned her Bachelor's in Agricultural Education. Her first two years were spent at McIntosh County Academy in Darien where she taught 8th through 12th. Her third year was spent in Blairsville at Union County Middle School teaching 6th through 8th. Christie is now back home in Rabun County where she has started a new program with 7th and 8th graders at Rabun County Middle School in Tiger. Christie believes that each of the schools that she has taught at has been beneficial and helped her be in the position to start a new program in her home county. What Christie enjoys most about being an Ag Teacher is that no day is ever the same! 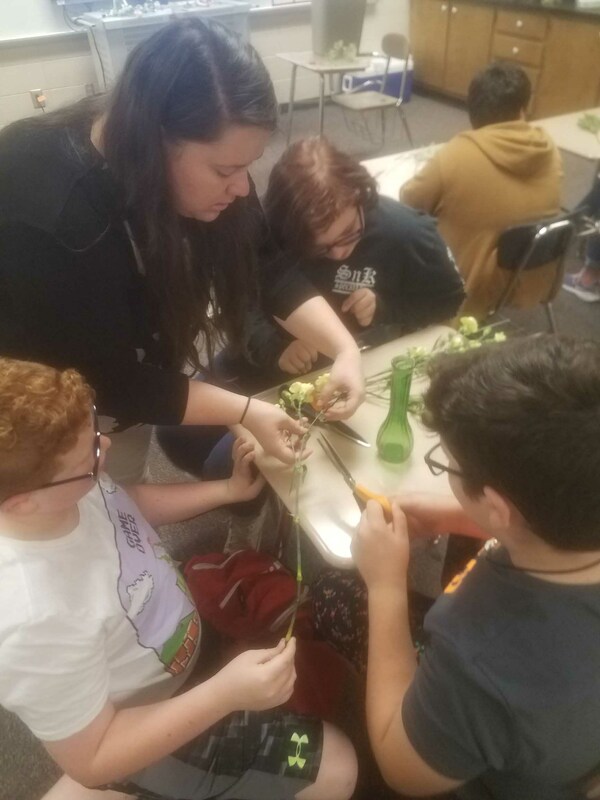 She believes that she and her students as a whole are constantly moving, doing, learning and building connections together. She is proud to be back home serving the community that she grew up in. Christie plans on starting her master's degree in the summer of 2019. Her goal for the Middle School Ag. Program in Rabun County is to see it grow. Christie wants her students to enjoy being in ag/FFA so much they take it in high school. When asked what she believed was her greatest success to date Christie said, “Having one of my kid’s place 2nd in Lawnmower Operations is my greatest accomplishment to date. It is a great accomplishment that I place fully on that young man! He wanted it and met me halfway! But there is also that time a student decided to break the family mold and make something of himself. Or the young lady that told me she loved me because I loved her....and no one had truly loved her before. I made sure her needs were met. Really, there is no one "greatest accomplishment" when it comes to kids. Every accomplishment is great one (large or small)! Being there when they need me, to give small encouragement, or tell them what they need to hear is why I am here! Meet the North Region Area Officers! North Region Area Officers are elected each year to serve and represent North Region at Area events, State FFA events and assist in coordinating the respective Area banquets. Information on how to be elected to Area officer is located on the FFA Association page under Applications.